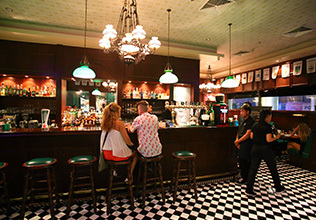 Flann O’ Brien’s Irish Pub and Restaurant is an ideal venue to meet friends, make some new ones for a bite and a beer, or catch a game on our big screens TV, watching the world go by. We also have live music most nights to keep you entertained. Copyright © 2017 Flann O'Brien's Irish Pub. All rights reserved.